BERLIN, Germany -- Ukrainian government troops and pro-Russia separatists have created a buffer zone as part of a ceasefire agreement. Expert Joerg Forbrig tells DW that Kiev now faces an unresolved, frozen conflict in its eastern region. What does the buffer zone in eastern Ukraine do? At the moment, it's just trying to spatially separate the two sides. The agreement is that both sides would withdraw by 15 kilometers (9 miles), so there would be a 30-kilometer corridor between the two warring sides, between the Ukrainian government's army and the separatists and their supporters from Russia. Who does the buffer zone benefit? There are a number of factors here. There is a degree of exhaustion both on the part of the Ukrainian government forces and on the part of the separatists in eastern Ukraine. There's a momentum both in Russia and in Ukraine that speaks in favor of a ceasefire at this stage. On the Ukrainian side, there's obviously the understanding that they cannot defeat Russia and the separatists militarily. There's an election schedule of course, with the parliamentary elections in September. There's an issue still about the gas talks between Russia and Ukraine. On the Russian side, there's also an understanding that, at this stage, it might be best to pause the conflict and perhaps even freeze it. The favorable outcome of this military conflict for Russia would only be possible if Russia engaged even more openly. The Russians are also well aware that the European Union has set a deadline until the end of the month to review the sanctions in light of developments on the ground. So, if there was some form of a more positive dynamic in east Ukraine, the Russians are probably holding out hope that at least some of the sanctions would be lifted. All of this resulted in what seems to be a pause, not a resolution to the conflict, but a pause at least. It doesn't seem like the Ukrainian government has reached many of its objectives. Why wasn't an agreement on a ceasefire and buffer zone possible at an earlier stage in the conflict? The Ukrainian government side has on a number of occasions tried to make way for a negotiated solution. 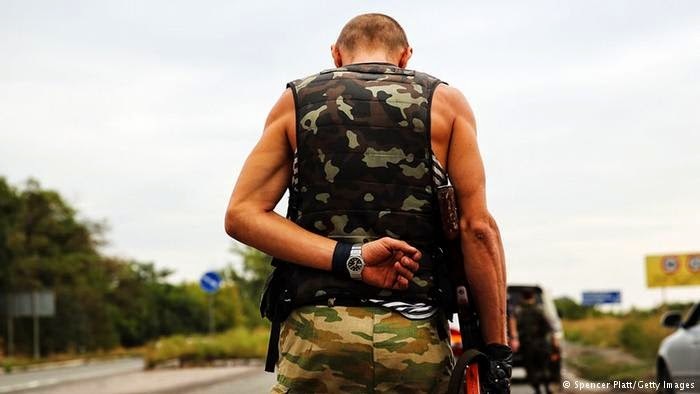 If you remember, in May they declared a unilateral ceasefire for a week or 10 days, which was not observed by the separatists and came at the expense of the Ukrainian side. The Ukrainian army then pushed for a military operation to defeat the separatists and they made progress on that until Russia basically intervened directly and propped up the separatists to a degree that made it impossible for the Ukrainian army to defeat them. There were occasions for earlier ceasefires that the Ukrainian side tried to exploit, but they never materialized on all sides. Does that mean that the position of the separatists and Russia has changed, allowing this agreement to come together? The position for the separatists and for the Russians has deteriorated. There was a dynamic in place with the anti-terrorist operation of the Ukrainian army where it was foreseeable that the separatists would be defeated. The dynamic that affects the Russian side primarily is the sanctions regime that's been introduced. Basically, the last two rounds: The one in late July and the one that was introduced just over a week ago. These are both measures that have an affect on Russia, and Russia must feel that if it doesn't do something and at least give the impression of de-escalation from its side, then there would be even more measures that hurt its economy. The Russians have developed an understanding by now that the sanctions hurt. Like Moldova and Georgia before, does Ukraine now face a frozen conflict in its eastern region? Has Russia carved out a sphere of influence in eastern Ukraine? The calculus on the Kremlin's side is certainly that if it implants a frozen conflict - similar to the ones in Transnistria, Abkhazia and South Ossetia - this will give it in the long run leverage over Ukraine's development, over its domestic reform process, and over its external international affiliations. This calculation doesn't work 100 percent in light of the Georgian experience for instance, or Moldova. Both Georgia and Moldova have made considerable progress in their association with the European Union despite the fact that both of them have a frozen conflict on their territory. Although there will basically be a frozen state or conflict in the east of Ukraine, this still doesn't mean automatically that the reform process or the association with the European Union has to be stalled. Much depends on Kiev here. I do think there are reforms and measures that they can take to implement the association agreement, which can be done even with a frozen conflict on the ground. The question here will be - and has been for the past six months - to what extent the Ukrainian government and more broadly the public will be completely consumed by this armed conflict in the east and will see all its attention diverted to conflict and away from the reform process that needs to take place in the country? In terms of the buffer zone itself, what does this do to the conflict on the ground and the communities that are in the area where fighting has been going on? In the first place, if all sides really abided by the ceasefire and the buffer zone was established all around that contested area, there should be at least some sort of peace or pause in the military exchange. So for the civilian population, this should at least mean there's no shelling; they get essential public utilities and services back; they can fix things ahead of the winter at least to a degree that makes it possible for the populations there to get through the winter, especially having heating and water supplies will be essential. It should also make it possible for some form of humanitarian support to arrive in that area and the adjacent areas that are affected by it. There may also well be an understanding on all sides that unless they agree to some form of ceasefire, buffer zone and fragile sort of peace, they would be facing a humanitarian crisis that none of the sides can handle - not the Ukrainian government, not the separatists, nor Russia. We are after all talking about millions of people in that area. Dr. Joerg Forbrig is a transatlantic fellow for Central and Eastern Europe at the German Marshall Fund in Berlin. He is also director of the Fund for Belarus Democracy.